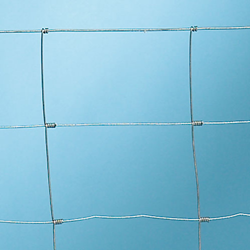 Ursus Zincalu is a hinge joint fence with low tensile wires. Due to the specially developed Zincalu coating, the life span of the wire extends by at least 50%, in comparison to heavily galvanised coating. The Ursus fence is very easy to install, and the size range suites a wide range of applications.